A new event space in Sydney’s Entertainment Quarter is set to become a wellbeing and creative destination for private and corporate events. 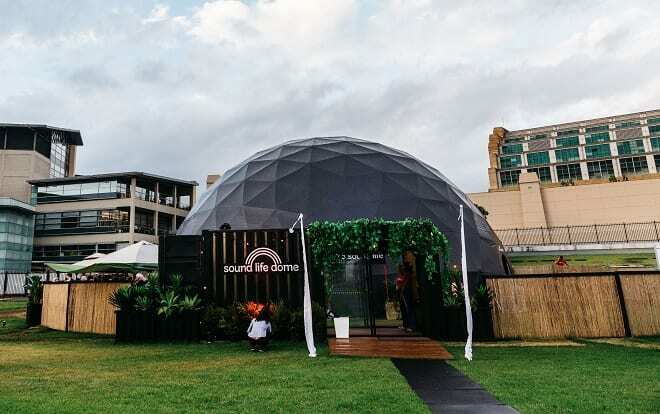 A Sound Life Dome is the vision of Australian charity A Sound Life, which empowers vulnerable communities to improve their health, wellbeing and happiness with the healing powers of yoga, music and meditation. Designed and donated by experience agency, George P Johnson, the 18 metre multi-function event space caters up to 250. When not being used for events, it will provide free services to people facing hardship in hospitals, aged-care, women’s refuges, mental health and disability facilities. “GPJ are so proud to support ASL and all it stands for. The sanctuary will be a fantastic community asset and we encourage all to get down there and meet the team onsite,” said Caleb Johnson, managing director of George P Johnson.